It’s time to put the garden to bed and finish up the gardening to do list in winter. Your winter garden chores will lay the groundwork for a successful spring season in the garden, so get cracking! When cleaning gardens over winter, the first item on the list is to remove all fading annuals and veggies. Ideally, you would perform garden cleaning in the fall, but if the days got away from you, do it now. These may be composted unless they show signs of disease of insect infestation. Next, it’s time for the lopper and pruning shears. If you haven’t done so already, cut back all perennials that either die back in the winter or benefit from dormant pruning. 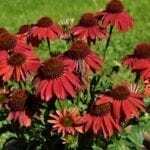 Prune back any herbaceous perennials to within 4 inches from the ground. Another gardening task for winter is pruning back damaged, diseased or overlapping branches from trees and shrubs. Don’t remove more than one-third of the plant at any one time. Apply horticultural oil to fruit trees to control aphids, mites and scale, and copper-based spray to control leaf curl in peaches and nectarines. Other winter garden chores may include cutting back roses. Some people wait until bud break in the spring, especially if the weather in your region is mild. If, however, winter tends towards the frigid in your area, you can prune roses back to about 18 inches after the first heavy freeze of the season. Of primary concern when cleaning gardens over winter is to rake up any leaves or other detritus. Some people wait until spring to do this, which can be a big mistake. 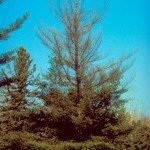 Many fungal spores and insect eggs can overwinter in this debris and infect the spring plantings. If you know that this debris is infected, either burn if legal in your area or discard it offsite. Next item on the gardening to-do list in winter is to prepare the beds for spring by amending the soil. You may want to take a soil sample at this time. To do this, take several random samples with a garden trowel, down about 6 inches deep. Mix the samples together in a clean bucket and then pour 1 to 2 cups into a soil sample bag or box. Send this off to the local cooperative extension office for analysis; the bag or box can be obtained from them as well. The results will tell you what additional soil amendments, besides a good dose of compost, should be added. 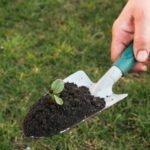 You may also decide to plant a cover crop to increase soil fertility, prevent erosion and weeds and add organic matter when cut into the garden in the spring. Clean, sharpen and oil tools and put them in a sheltered shed or garage. Label and store seeds in a cool, dry place, such as an attached garage or the crisper drawer in your refrigerator. You may want to pressure wash or scrub any garden sculptures. Don’t forget to turn off your irrigation system and/or reset the timer. Flush the system out and let drain to lessen the chance of freezing and potentially damaging the hose or drip system. Move tender plants that are in containers inside or another sheltered area, or cover them and those in the garden to protect from frost and cold temps. Now that you have finished winterizing the garden, it’s time to sit back, relax and plan! Spring is coming sooner than you think and the garden is ready for it!